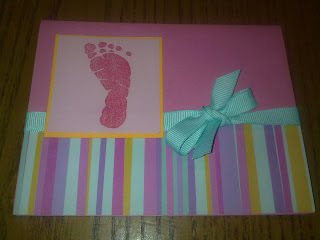 A Resourceful Home .com: Homemade Cards as Gifts? The girls' night I mentioned in yesterday's post was intended to be for paper crafting. We talked a lot and did a little crafting, but I spent the whole of that afternoon preparing some greeting card 'kits' for the ladies to make. A paint chip card with choose-your-own-greeting stamps. This one says "Thank You." 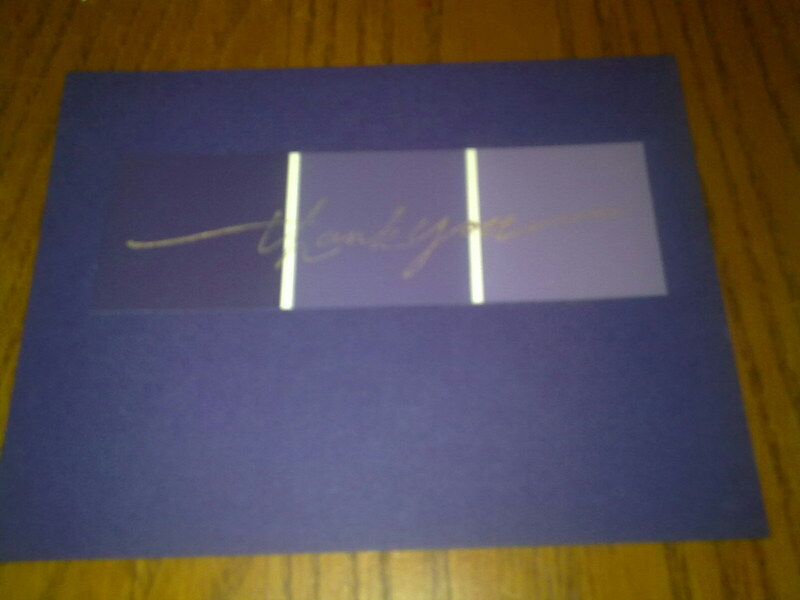 A layered stamp card also with choose-your-own-greeting stamps. 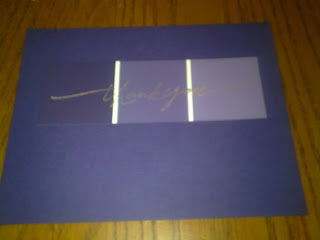 I made another "Thank You." I way over-prepared these cards because the girls' night was for the ladies in my Sunday School class and I didn't know how many gals to expect. I have 8 or 10 of each all cut, and have yet to assemble them. Maybe some night when I watch tv and don't have piles of laundry to fold. I also thought I might make up the top, baby cards as a gift for a new mom. She can use them for thank you notes, maybe? I was very blessed with DD#1 when a friend made me a big batch of pretty thank you notes and I thought these turned out nice enough to give. What do you think? 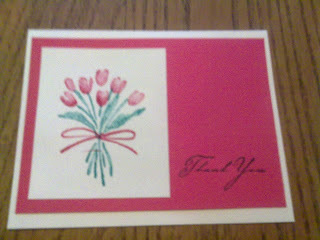 And in that vein, Do you think a set of 8 homemade cards would be well-received as say a hostess gift? Or a small birthday gift for a friend who doesn't want you to spend money?